Xenoblade Chronicles 2 promises more than enough to satisfy players who like to have lots to do. There’s a big open world with quests and plenty to find, a story filled with its fair share of epic moments and an active battle system that ended up being engaging after taking the time to get to know it. It may not be the most perfect open world JRPG with systems that give random results and the way things are unlocked being questionable at times. But I can’t deny the almost 100 hours I’ve sunk into the experience as plenty of proof that as an open world JRPG with endless things to develop and find, Xenoblade Chronicles 2’s vast and beautiful world is a pleasure to explore. 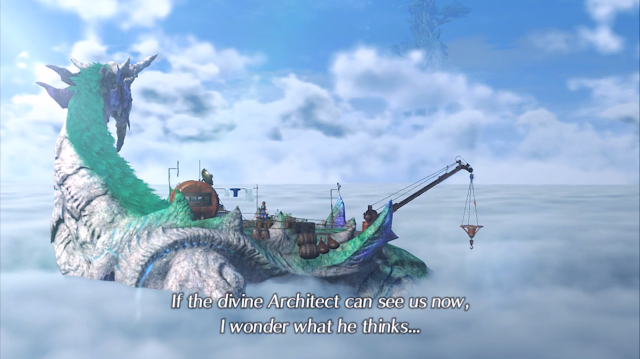 Xenoblade Chronicles 2’s story begins in the world of Alrest, a world covered in Cloud Sea and the Titans that drift through it. The land and areas in Alrest are on top of the backs of Titans who are slowly falling to their death into the Cloud Sea, leaving Alrest and its people at risk of being wiped out or left with nowhere to live eventually. The complex world’s story focuses on a young, kind-hearted salvager called Rex who plays the unlikely protagonist in this story. He's killed by a mysterious man after accepting a salvaging mission that seems too good to be true and finds himself standing in a vision of the rumoured vast paradise of Elysium with a blade called Pyra. She ends up saving his life by providing half of her lifeforce to Rex in exchange for him taking her to Elysium, which he accepts with the innocent belief that this paradise could help Alrest. 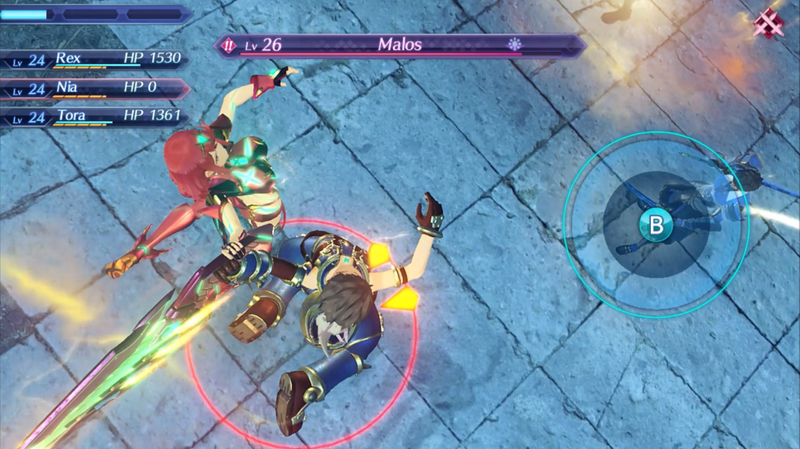 Rex quickly begins his journey of protecting Pyra and seeing what happens to this world throughout. Beyond Rex and Pyra’s relationship, I enjoyed the bigger story going on in Xenoblade Chronicles 2, centering around Alrest as a world and also the relationships between Blades and their Drivers. Blades are the powerful special beings that command magic and strong powers and are awakened through special Core Crystals by Drivers, the people born with the capability of commanding them. 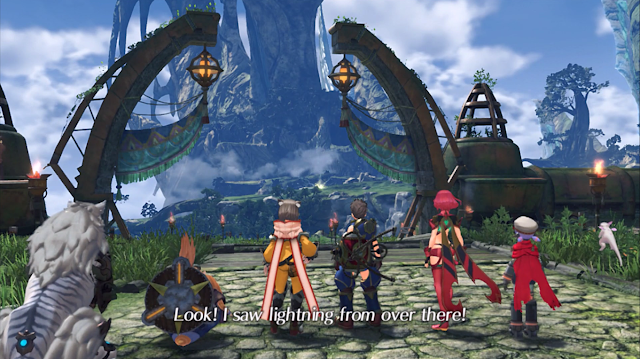 Rex’s main party of Blades and Drivers serve as the colourful group of main characters, alongside other groups met along the way with opposing views. I was pleased to see that a lot of the main groups were provided with a fair bit of back story to help me feel engaged with most of the characters, albeit if some of this development wasn’t left until quite late into Xenoblade Chronicles 2's story. Rex and Pyra as main characters are also given a lot of story along the way, although I found their relationship a little shallow at first from how quickly they became deeply connected to each other. Some of this is to do with the story spanning over 10 big action-filled chapters and while I understand action is necessary in this kind of big game to keep the main story interesting for those who do or don’t choose to explore the world in between, it felt hard to find a genuine deep connection between the two together other than circumstance until later because of this. Xenoblade Chronicles 2 proved good at tying up each character’s loose ends by the end of the story at least, and by the end those 10 big chapters had given me all the information to feel satisfied at its conclusion. There are also side moments with the optional Heart-To-Hearts scattered around the world that have the kind of relationship growth I wanted to see, a fact I didn’t realise until I finished my initial story-focused playthrough. Ultimately, I think Xenoblade Chronicles 2’s story feels best and at its fullest when broken up with a little open world exploration in between to fill in the gaps and factoring those in, I enjoyed watching the characters relationships grow as pairs and as a group through its long journey. Speaking of exploration, as an open world JRPG, Xenoblade Chronicles 2 excels as it’s sprinkled with things to do everywhere you go and even at 100 hours in, I’m positive I could do another. Along with the previously mentioned Heart-to-Heart events to find out more about the cast with, there are Collection Areas to find materials for trade, things like food and drink to buy and give to your Blade to try find their favourites, a plethora of Quests to complete, Core Crystals to unlock Blades with and much more. Each story chapter usually unlocks a new area filled with things to do, places to explore and quests to get to know the world with. The gameplay progresses appropriately as the story does and whether you like to complete quests as you go or save them all until the end, there’s usually something new to look forward to in each chapter. It’s this kind of feeling I found is what Xenoblade Chronicles 2 is best at doing well and I was certainly never starved of content and things to do as I gladly kept improving my Blades’ skill trees and doing their quests as I went. 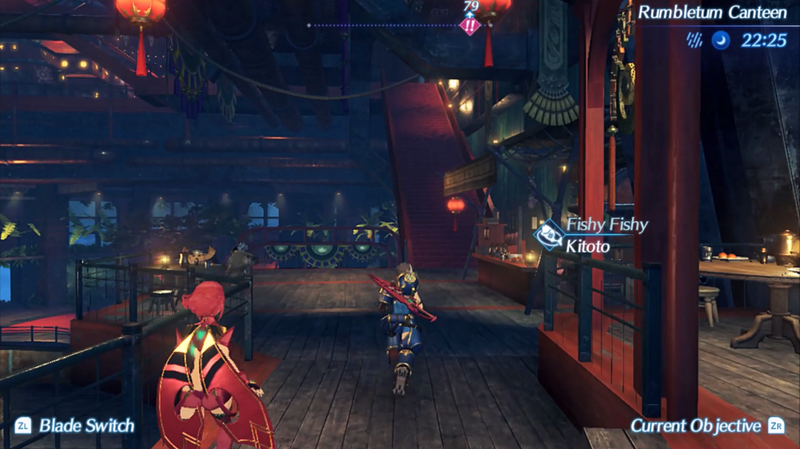 Blades and Drivers come together in Xenoblade Chronicles 2's engaging and unique active battle system that I was surprised with how much I ended up enjoying. 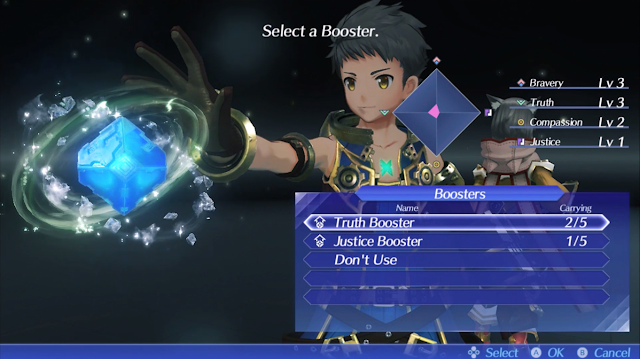 In the first tutorial I was worried this system would be slow as I saw Rex attacking by himself, only needing me to select skills as needed. But as more story blades are obtained and developed, more options such as chain attacks and combos make the system much more fun and genuinely engaging for a system that features auto-attack as a prominent mechanic. I particularly liked the combo system that allows you to break the auto-attack chain to choose between compatible elements to slowly build up big elemental combo attacks before time runs out. Not only did they have their own very cool animations, they leave a lasting effect of blocking an enemy’s potentially pesky ability to gain an edge in battle and kept my attention well because I was always rushing to build up the skills needed before time ran out. The combat also features its own system of stunning enemies with different statuses of its own such as Topple and Launch incorporating extended timing in an interesting way and all of these systems use of it kept me much more on my feet than I would’ve thought I’d be. It took me a bit of time to master this system as the tutorials only flash up once and it’s a lot to learn each time its explained, but once I did I looked forward to seeing where battles went with my skills and combo chain choices and getting everything to work well together. There a lot of pros that come with cons in this mostly enjoyable big world and there were a few things in Xenoblade Chronicles 2 I definitely found questionable. When it comes to gameplay, I felt quests were a mixed bag at times, with some quests being quick and easy to complete and others requiring many steps and there often wasn’t a clear way to judge how many steps I’d have to do to get the experience I’d been working for. This often saw me frustratingly start a quest to get experience before a boss, get halfway through its steps, realise there was something I couldn’t do yet and have to abandon it for another, with my time wasted and because of this I mostly saved quests until the end game because I didn’t want that to happen again. Core Crystals also come to mind as a debatable system, as I very much love the designs of the Rare Blades I see other people have, however the system of Common, Rare and Legendary Core Crystals often doesn’t work out as expected and there’s only so many Common Blades one can get from a Rare Core Crystal before being disappointed. I’m a fan of gacha’s usually as I like random surprises, but in Xenoblade Chronicles 2 there aren’t many ways to influence the odds, which make it feel a little unfair at times for a console game. As someone who usually enjoys going back to play quests and expand my monster collection in my end game of these kinds of open world games, in Xenoblade Chronicles 2 I found myself much more interested in developing the skill trees of the ones I already have and unlocking things in the world that I can reliably expect results from. I’ve definitely found plenty of enjoyment in these aspects, but it does mean I play it differently to how I would usually play an open world game. On a more surface level, things like voice acting and visuals also have their own highs and lows. The visuals of Alrest’s world look simply stunning on a TV, so it’s unfortunate they suffer frame rate and general quality issues when played on the Switch’s handheld mode and it was a little distracting when changing between the two. As for sound, I played with the English dub like I usually do in localised JRPGs and enjoyed the voice cast for the most part, even if they differ quite a bit from the Japanese ones that I think are objectively better. 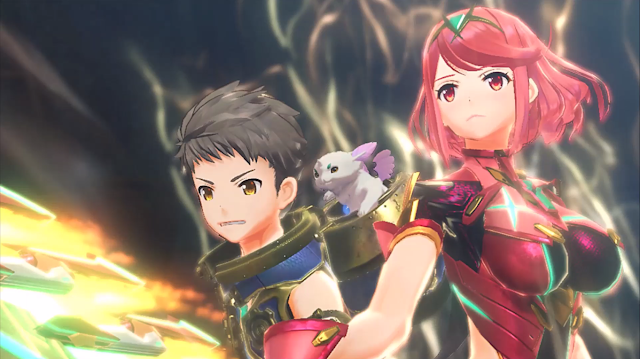 There were a few voices such as Pyra’s that I didn’t think fit as well in English as the ones I’d heard in the original Japanese trailers and also some general moments where lines felt cut short to fit mouth movements that were a little distracting. In saying that, I highly enjoyed the variety of accents and speech quirks in characters such as the Nopons interesting speech patterns that made all the characters feel like they had a lot of personality in the English dub and alongside music as gorgeous Xenoblade Chronicles 2 and better voice performances from characters like Nia and most of the villains, I could get past these imperfections well enough. In spite of its imperfections, Xenoblade Chronicles 2 still manages to be very addictive, which I say confidently as I’m almost 100 hours in and still don’t want to put it down. A lot of this comes down to its pacing, with it often slowly opening up more things to do, whether it be chapter by chapter or doing certain quests that give access to new features and abilities, such as Blade-specific ones. Whether it be through giving new things to do in battle, opening up a whole new quest chain complete with voice-acted dialogue or the random events that happen as you explore depending on what Blade is in ones party, there’s always something to do in Xenoblade Chronicles 2 and it allows you to be pretty free in how you want to play. It’s this kind of freedom that really helped me enjoy it so much and I’m already interested in its futures to see what it will add to the never-ending pile of things to do in its big open world. Xenoblade Chronicles 2 might not be a perfect open world JRPG, but it certainly shines bright as an engaging one. With things to find on every corner, its interesting world full of Titans to explore on and Blades to collect is one that will probably appeal to those looking to really sink their teeth into a big game that will keep on giving them more. While its systems may not explain themselves perfectly or rely too much on random draws at times, it takes advantage of the fun collective nature in JRPGs well and for those who want to take the time to get to know its systems, there’s fun strategy to enjoy in its battles too. My journey in the world of Alrest might be over in terms of story, but I think in terms of exploration its probably a good sign that I’m confident it’s only just begun. Can't wait for New Game+ to come! Did you play Xenoblade Chronicles 2? If you did, what did you think of it?